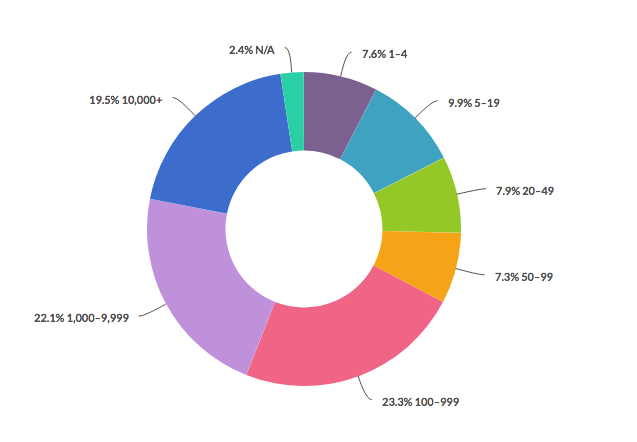 5.9 million developers visited the Java Zone in the past year; let's dig into the data and get to know them. Java is growing with us, and we are growing with Java. Since its conception 22 years ago, it has remained a steady and vibrant programming language for reasons besides its robustness and comprehensive platform. JVM languages keep multiplying (enter Kotlin), and demand for Java developers remains high as they are said to be the most employable software professionals out there. In preparation for the upcoming “Guide to Java: Development and Evolution,” we surveyed the DZone audience of developers and software professionals to get a better grasp on their use of Java and why understanding how they tick can make us better marketers. The survey asked developers about their use of Java 8, their opinions surrounding “new style” vs. “old style,” the companies they work for, and what types of tools they are using. Stay tuned for the complete and comprehensive survey data, which will be published in the Guide to Java. 41.7% of developers said they feel fairly optimistic about Java in the future, followed by 36% who said they feel very optimistic. 69.3% use Maven as their primary build tool, followed by Gradle at 15.1%. For application front-ends, 52.1% of developers said their organizations use Angular.js, followed by 33.5% using Spring MVC. Jenkins is the primary CI Server used by 68.7% of developers. 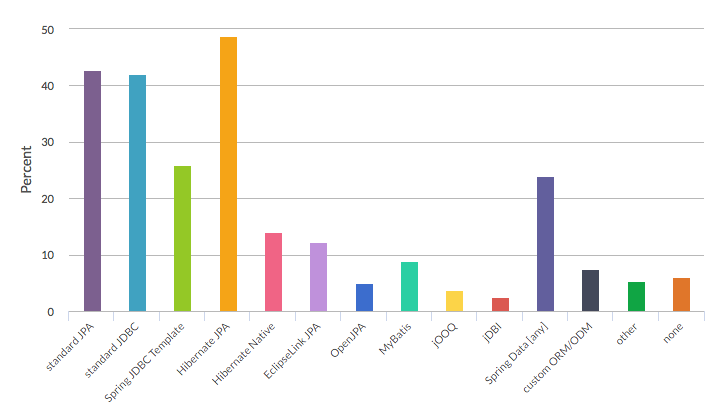 Hibernate JPA is 48.8% of developers’ choice of persistence tool. 9.9% said they have 20+ years of experience. 85.3% are currently working on web applications/srvices (SaaS). 90.8% said they read articles on various tech sites to keep up to date on their skills. Sixty-nine percent of Java developers say the “new style” of Java 8 has made coding more fun for them while 89% say that they are using Java 8 on their new apps. Within those hundreds of developers using Java 8, 67.2% said they are now able to write more functional code than were able to prior to its release. 88.7% of developers say they are using Java 8 for new applications, and 48.3% use it for existing applications. Many developers have also said that they mix “old style”* with “new style”** But amongst the repository, application, and source-file mixers, there still stands 25.1% who say they never mix old and new Java. *Pre-Java 8 **Java 8, e.g. lambdas, streams, etc. You may be asking yourself, where does Java 9 fit in? Well, we asked developers what they think the most important feature of Java 9 is and 35.4% said that the module system Jigsaw is the best new feature, followed by an overwhelming 29.1% that have no opinion. 81.33% of the DZone Java readers are male. 44.41% are between the ages of 25 and 34, followed by 23.52% who are between 35 and 44. Java readers on DZone are primarily located in India, the United States, Germany, the United Kingdom, France, and Canada. 61.41% are Windows users, followed by Macintosh users at 14%. 23.3% work at a company with 100-999 employees, followed by 22.1% who work at a company with 1,000-9,999 employees. DZone Research Analyst Tom Smith spoke with nine executives on the state of Java. His findings, while currently published in the Java Zone, will also be featured in the Guide to Java. Java users are concerned about what moves Oracle will make next and in the future (add the market cap or ownership of Oracle in the Java market). The movement towards microservices continues, posing the idea that if all application development goes to Node.js then Java may have issues sustaining customers and providing growth. New languages such as Kotlin, although improving solutions, are also building on Java’s vulnerabilities. Developers are embracing Lambda expressions for multiple reasons because they can get more out of less code which opens the door to functional programming. Is Java As Relevant As Ever? Moreso?